So one of your girlfriends is tying the knot soon? Well, we’re sure you are excited to see her march down the aisle and finally make her own fairy tale come true. But hey, let’s not move forward to the most momentous occasion yet because as we all know, your girl deserves a bridal shower too. If you haven’t really thought of the best bridal shower gift ideas, fret not because we got you covered! 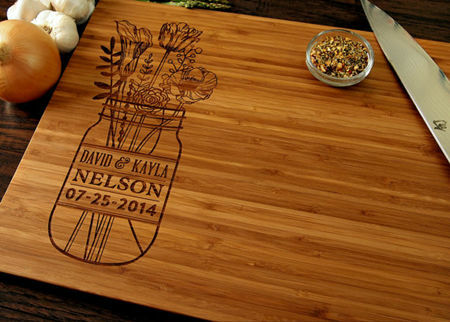 Whether or not your soon-to-be-bride loves hanging out in the kitchen, this customized chopping board will never go wasted especially during those emergency midnight pigging out sessions. Let her kitchen sizzle a bit more by wrapping up a chopping board made with love, and it’ll surely be a part of their home for the years to come. 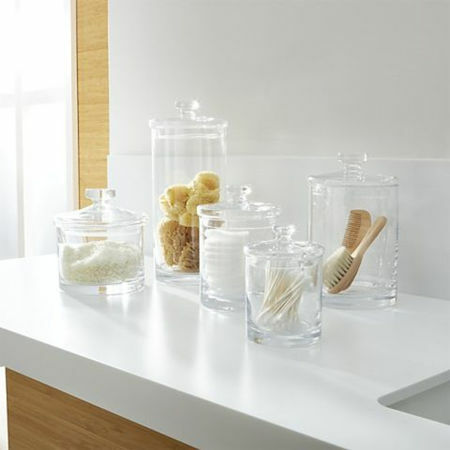 Blow away bathroom organization blues by wrapping up bathroom canisters for your best girl’s bridal shower. Simple it may be, but these tin containers can make some of her wifey duties way easier. Every woman can use an extra shirt, especially if it would act as a reminder of her new milestone in life. So if you are a bit tight on the budget and you need to grab a gift fast and quick, you can always pair a customized shirt with dazzling accessories to spice up your gift box. 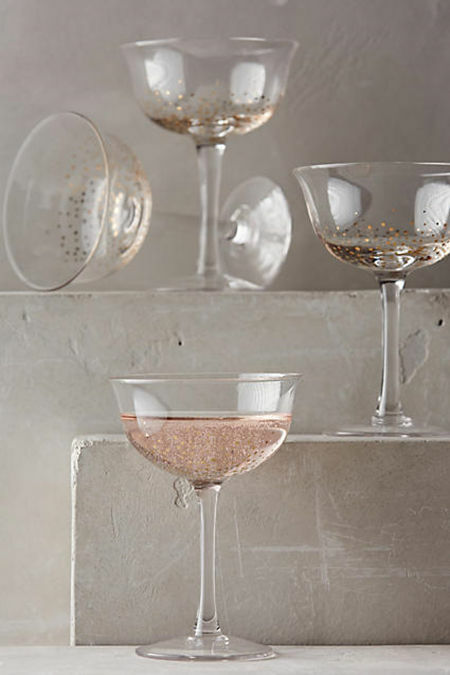 Treat your new bride with champagne and wine glasses that they would be able to use on their special occasions. Pack these special glasses with a bridal send-off note, and you’ll surely be remembered during their special days. 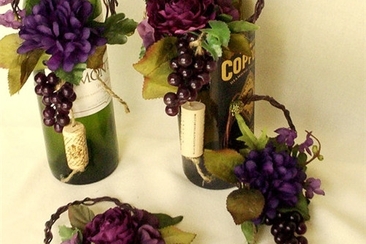 It is one of the most wonderful bridal shower gift ideas! 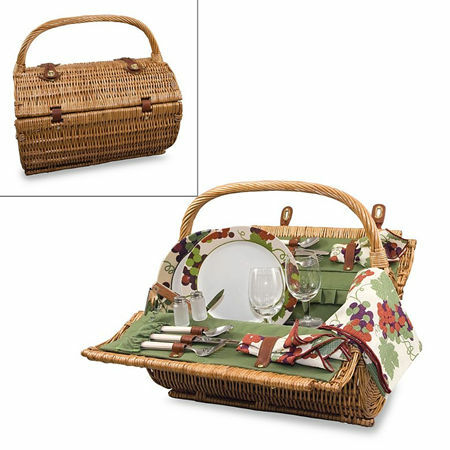 If your couple loves going outdoors, then they would surely appreciate a picnic basket as neat as this one below. I mean, who wouldn’t love grabbing snack at nearby parks in a basket as gorgeous as this, right? 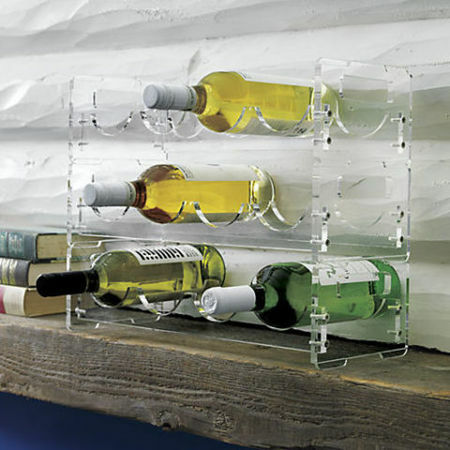 If your bride-to-be already has a full set of glasses, you can definitely aid her in her nighttime wine routines by buying a rack exclusively for her and her soon-to-be hubby. This wine rack wouldn’t only make her kitchen look cozy and classy, but more importantly, drinking a glass of wine is great for the heart too. 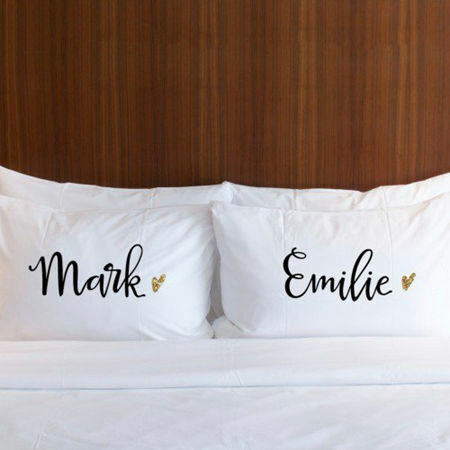 Keep your best couple cozy at night by handing them customized pillowcases that will remind them to always keep their love burning especially when the lights are already out. We can’t say this is the most practical gift on our list because you can’t really hang anything in here, can we? But we just can’t tick it off our list. 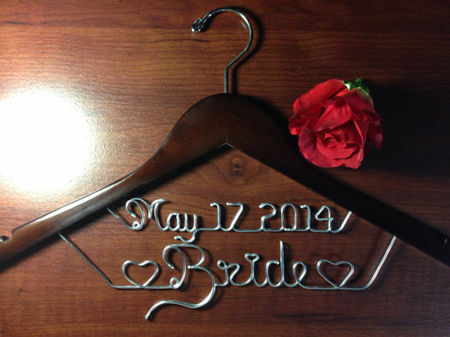 We just love this customized hanger so much, we’re going to get one ourselves! 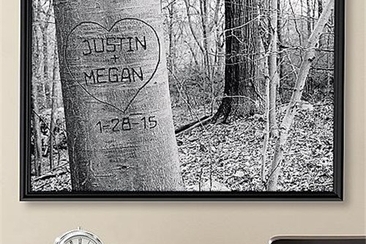 Looking for rustic bridal shower gift ideas? 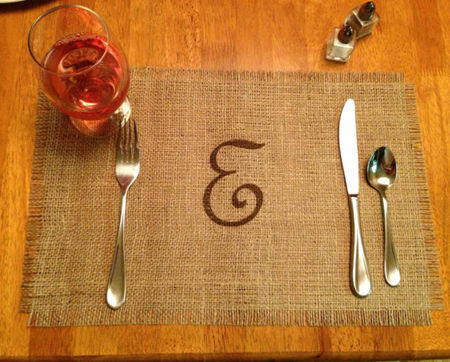 This customized placemat won’t disappoint you as it has all the elements to add spice on your bride’s kitchen. 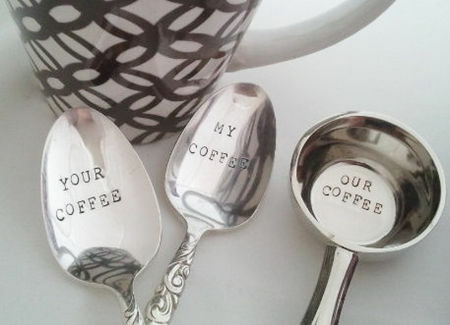 Perfect for couples who can’t go a day without sipping a cup of coffee, these customized spoons and measurement cup can keep their mornings sparkling. 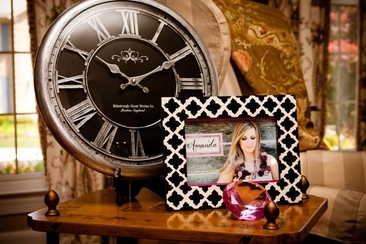 And yes, this is another gift item that will surely have a place in your bride’s kitchen area. Well, we all love drinking our fruit punch from our mason jars, don’t we? 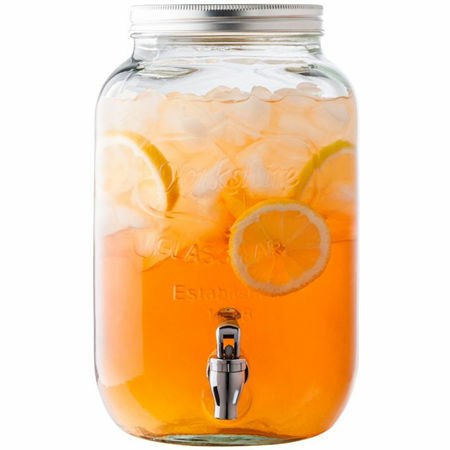 But a mason jar drink dispenser? How cool is that! 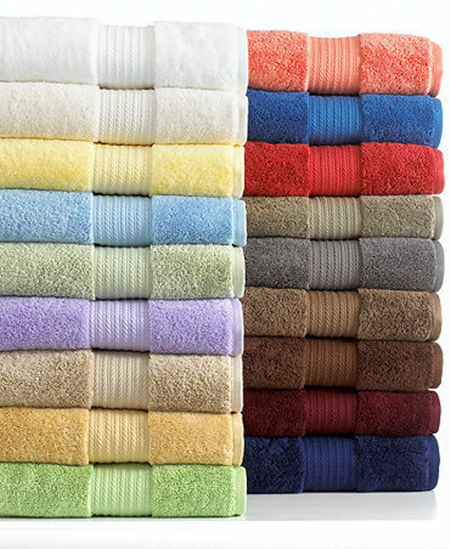 We can’t say that a pack of colorful towels is one of our best and most exciting bridal shower gift ideas, but we’re sure your girlfriend would appreciate this once they settle in their new home. 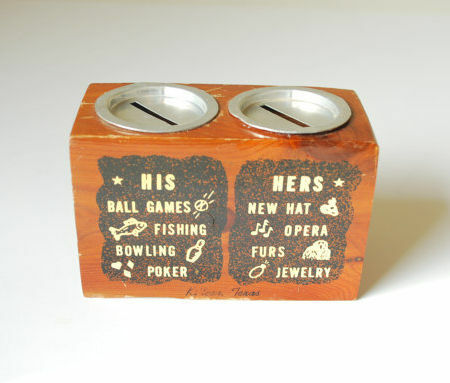 Well, they won’t really be able to save thousands from this small retro piggy bank, but if the couple loves collecting fancy items, this customized piggy bank won’t go unnoticed. Your girlfriend can always use simple items that will remind them of your love no matter where they go. 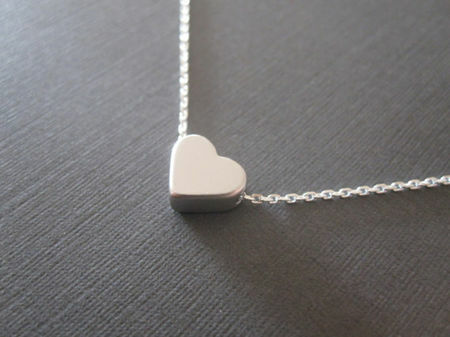 And yes, that basically explains the heart pendant. Is your best girl artistic in nature? 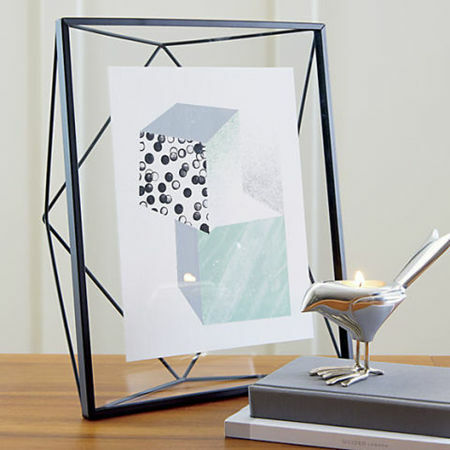 Then you might want to buy a geometric frame for her living room! 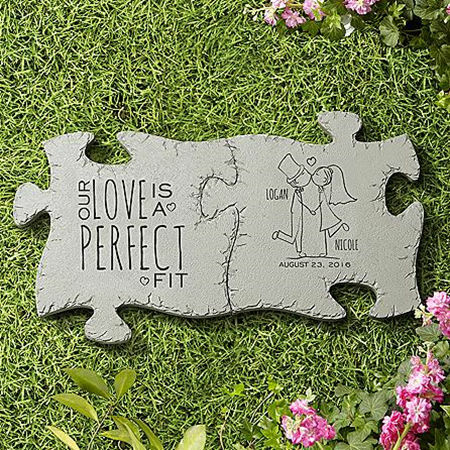 Do you think your bride-to-be’s garden can use a bit of stepping stone décor? Then this item is your best buy! 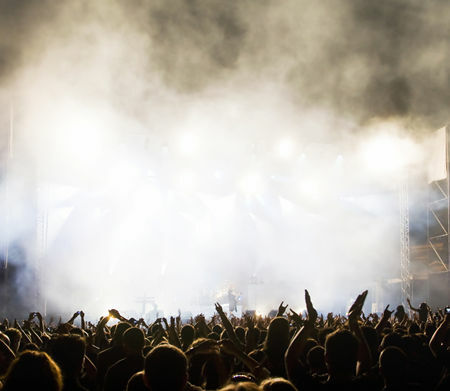 If your bride loves listening to music, you can definitely treat her to a ticket for two on one of her favorite performers. 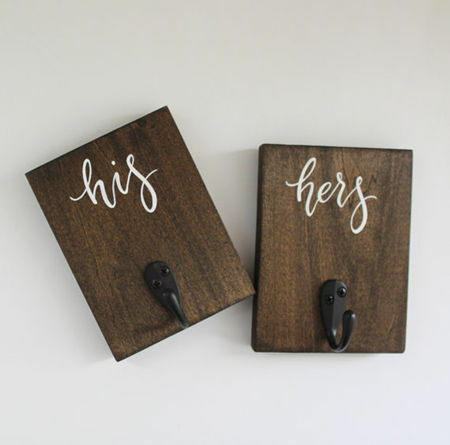 This may not be the most tangible bridal shower gift ideas, but at least you’ll be sure that she and her future hubby will have fun on one of their date nights. Just make sure it’s dated after the wedding though. There’s no need to shy away from giving your girl a piece of lingerie! Buy your favorite girl something naughty and nice for her wedding night! We just love everything customized, don’t we? Well, your bride would surely need some personal touch on her new home, so you might as well do your best in finding something that she’ll remember you by, and we’re sure this towel rack will help. 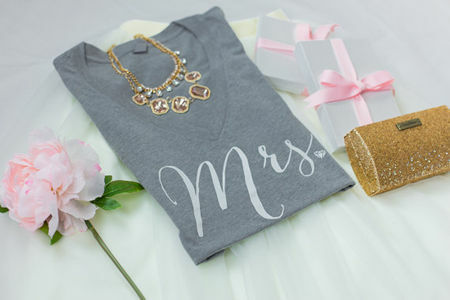 While we have given you a full list of the perfect bridal shower gift ideas, always keep in mind that when you are out shopping for your favorite girl, nothing beats keeping it real and keeping it simple. 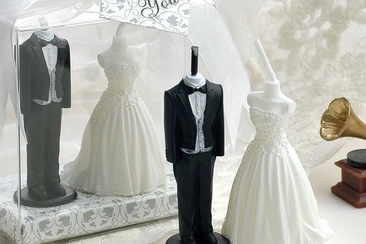 Wondering what to buy as gifts to your friend for her wedding? Read this article for some tips and recommendations! 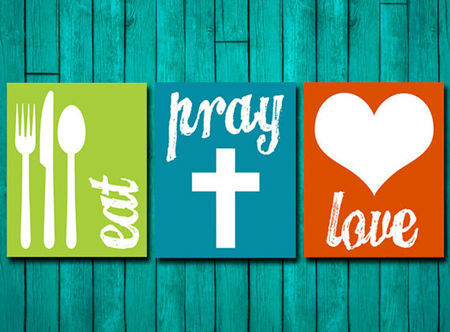 Then choose one thoughtful and meaningful piece! 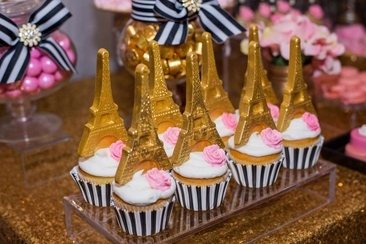 The 24 hour wedding shower is a fun and creative way to celebrate newlyweds. Click here for ideas for the party and gifts to give by the hour. 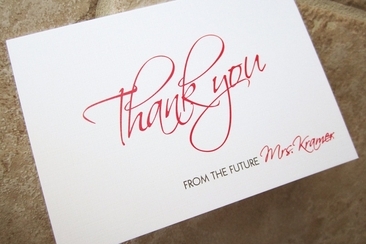 When you have a better idea of how the bridal shower gratitude notes should go, the process will be a lot easier. And we also include some samples for different gifts. It's all about bridal shower game prizes. Add these prizes to your bridal shower to add the ambiance and elegance of it, making every guest excited and enjoy the party! Server responsed at: 04/18/2019 9:24 p.m.